Dr. Horatio Jackson wasn't necessarily a betting man. But in 1903, he overheard a stranger saying that it was just not possible to drive across the United States in one of those unreliable, newfangled automobiles. Jackson disagreed - he believed in the future of the automobile. So he made a $50 bet with the man that he could drive a car from San Francisco to New York. 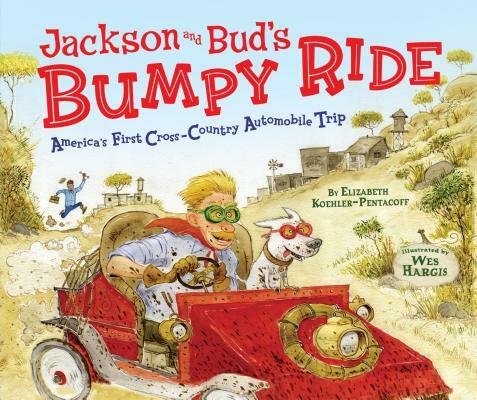 Jackson bought a used Winton automobile, hired a mechanic named Crocker, packed some supplies, and adopted Bud, a bulldog who became their mascot. The trio's only goal was to make it from San Francisco all the way to New York City in one piece. Yet 5,600 miles and 63 1/2 days later, what they actually did was make history. This true story is based on Jackson's own account of the first automobile trip across the United States.